Three fixtures are in focus, given their goal and clean sheet potential, for our Fantasy Premier League Gameweek 14 daily picks. 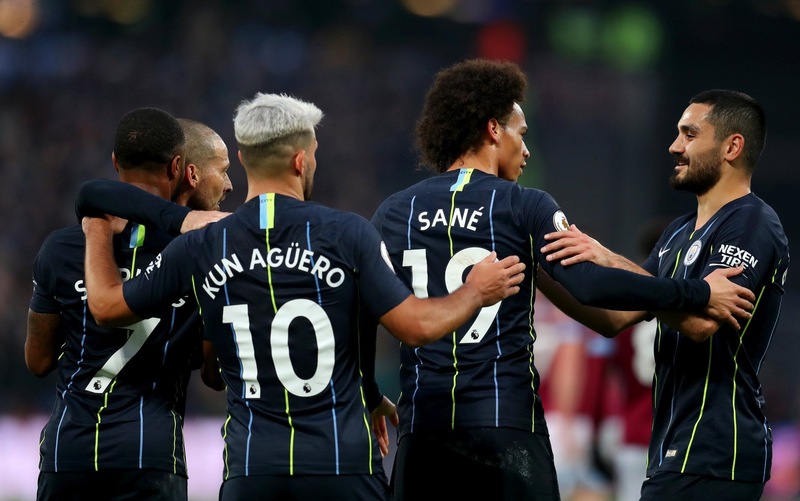 Whilst these selections are based on the Starting 11 game and scoring system, you may also find them useful and relevant for Fantasy Premier League Gameweek 14. Starting 11 is a Daily Fantasy Premier League football app, which has grown in popularity amongst the FPL community this season. You can select a team without any budget constraints and battle against others. You can challenge the community by downloading the FREE App on Android or iOS and create a team. For more information on their new mini-league fixture, CLICK HERE. Manchester City are on another phenomenal run, taking the headlines for our Gameweek 14 daily picks. They lead the clean sheet charts in the league, with 8. They’ve also got the best goal scoring record of 40, with 3+ goals in each of their last 3 games. Sergio Aguero and Raheem Sterling lead the attack, and both should see plenty of goals this weekend. Their respective home form is impressive, with no blanks in the games they have started. They also have a great scoring record against Bournemouth. David Silva and Aymeric Laporte are worthy options elsewhere on the pitch. Silva has goals in his last 3 Premier League goal and Laporte’s header in the Champions League on Tuesday has reminded us of his aerial threat to go alongside a likely clean sheet. A derby is always a fiery affair, with the North London Derby the final game on Sunday catching our eye as the Gameweek 14 daily Goals Galore choice. These two have 51 goals between them in the league this season, and are fresh from wins last weekend. It’s the Spurs attack of greatest interest after their return to full fitness: Kane leads the line with the most shots in the last 4 games. Alli and Eriksen provide the threat in midfield, creating and scoring chances in their last game against Chelsea. 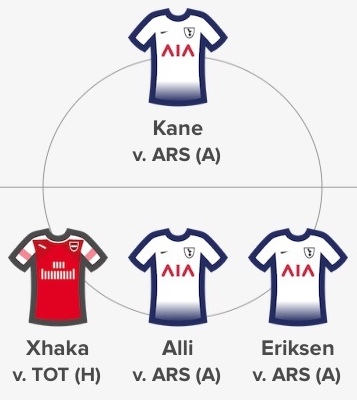 Xhaka tends to be well suited to Starting 11’s scoring format, with a high pass completion rate and points accumulated for tackles and interceptions. He also has some set piece responsibility which could boost his score. Crystal Palace have 4 clean sheets this season, with their most recent shutout coming in a tricky away game at Old Trafford. Meanwhile, Burnley have scored just 13 goals this season and tend to struggle on the road. 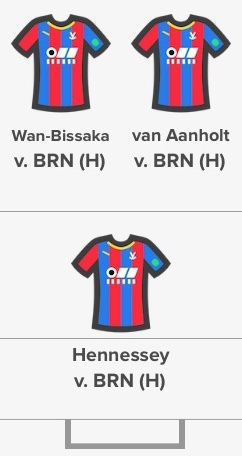 It’s the full backs providing the most potential for attacking returns alongside a clean sheet: Van-Aanholt has a goal and an assist this season, plus Wan-Bissaka has one assist and will be awarded points for tackles too. Hennessy gets the call up as our Gameweek 14 daily keeper: he has 38 saves to go alongside his 4 clean sheets, which could improve his overall score. 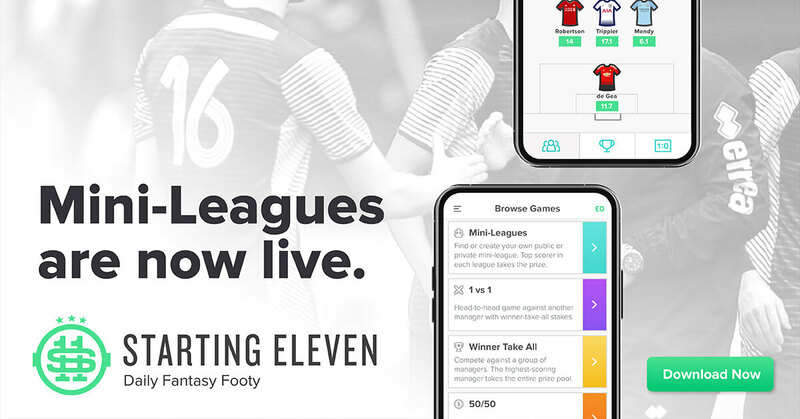 If you’re interested in playing Premier League Daily Fantasy Football with us and many other community members this season, please download the FREE Starting 11 app today by clicking the banner below.